Earlier in 2014, I received 2 invitations to travel from friends. First was a wedding in Churu, Rajasthan; Second was an invite to Daman for a friend’s family occasion. Unfortunately, I had to choose between the two. Nevertheless, I gleefully murmured – “Good start to 2014”. South Gujarat is very doable in terms of road trips from Mumbai. So, we chose Daman. Plan was to drive further down and explore nearby cities in Gujarat. Google map was my resource and I made an itinerary for 3 Nights and 4 cities. Apart from road trippers, this itinerary may also be of use for family travelers and history lovers. As a corporate slave, I still went to work on the day of my travel. Clocked out in the second half, picked my backpack and commenced the road trip. We started at 5:30 pm and took about 3 and half hours (considering traffic) to reach Daman at 9:30 pm. No contingencies along the way and we made it for my friend’s family occasion in time. As the sun bid good bye, so did we. At dusk, we drove for Vadodara. In about 4 hours we were at our hotel and slept the night off. It was the day to visit UNESCO World Heritage Site of Champaner-Pavagadh Archaeological Park. 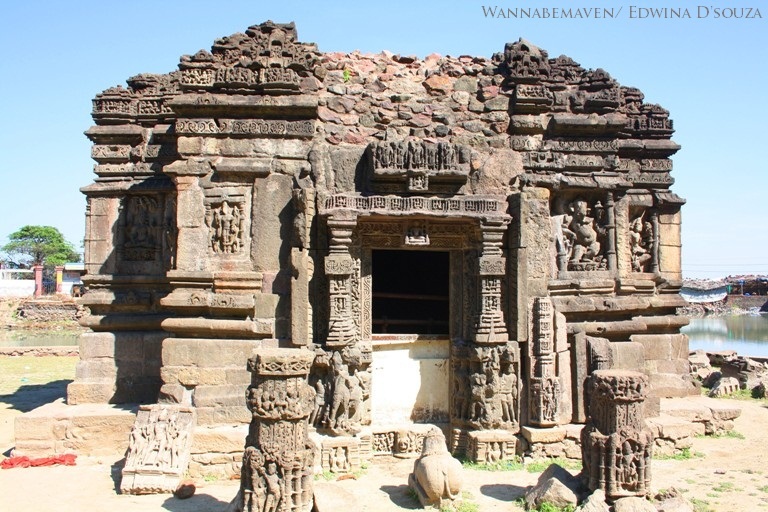 Ruins are located 50km from Vadodara and take about an hour to reach via Halol. Built by Sultan Mamud Begada of Gujarat, Champaner was once a flourishing township and the capital of Gujarat. Today, it’s a lost and forgotten city. Ruins date as early as 8th century and are spread across several kilometers. It is best to hire a guide, so he can wrap the tour for you in a concise manner (guides charge apprx. Rs 500). Must visit ruins include the Sahar ki Masjid, Jami Masjid, Kabootar Khana Pavilion, Saat Kamaan (Seven Arches) and Lakulisa Temple. 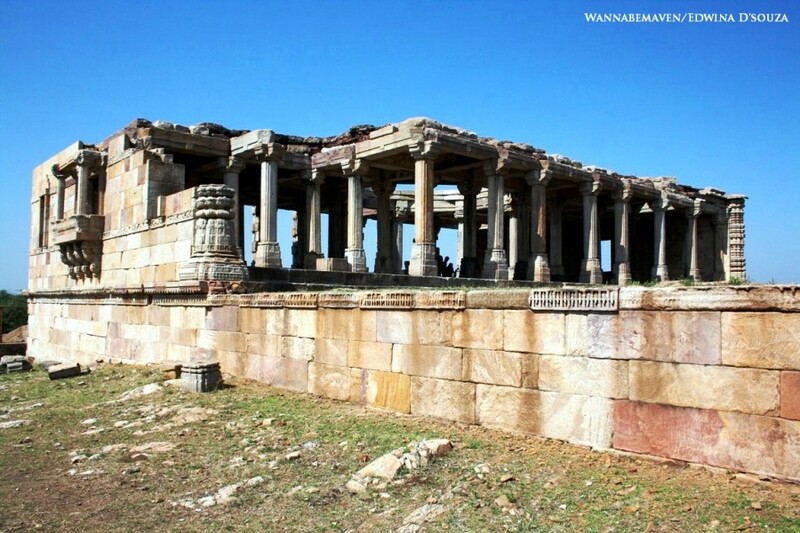 (Read my Photo Essay on Champaner-Pavagadh Archaeological Park here). Kalika Mata Temple on Pavagadh hill holds great religious significance for Hindus. During Chaitra (March-April) according to Hindu calendar and Navratri, devotees hike to the hilltop, which is commendable since it needs great stamina and endurance. Tourists, lazy lads and non-religious individuals can drive down to the base camp of the hill. 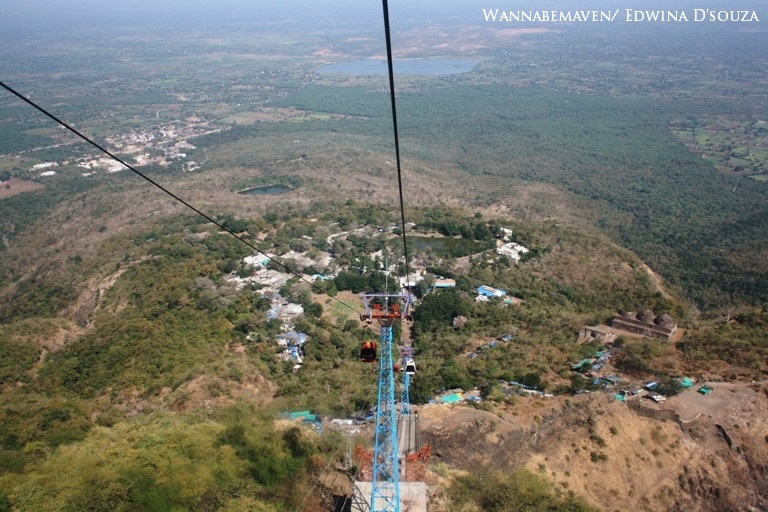 A ropeway at the base camp takes you up the mountain. Climb another 200 steps to reach the temple top. Sounds difficult and exhausting, but it’s all worth the view, Trust me! 5pm we moved out from Champaner towards Vadodara. Day light was still in its glory and we visited EMI Temple (Dakshinamurthy Temple) in Vadodara. A serene religious site with a temple structure built using Aluminium. There is a story that the structure was made from aircraft scrap, although the temple does not endorse this piece of information. EMI Temple is maintained by the Indian Army authorities in Vadodara. This is a good place to spend some tranquil time. In the evening, set out to explore the local food scene in Vadodara. 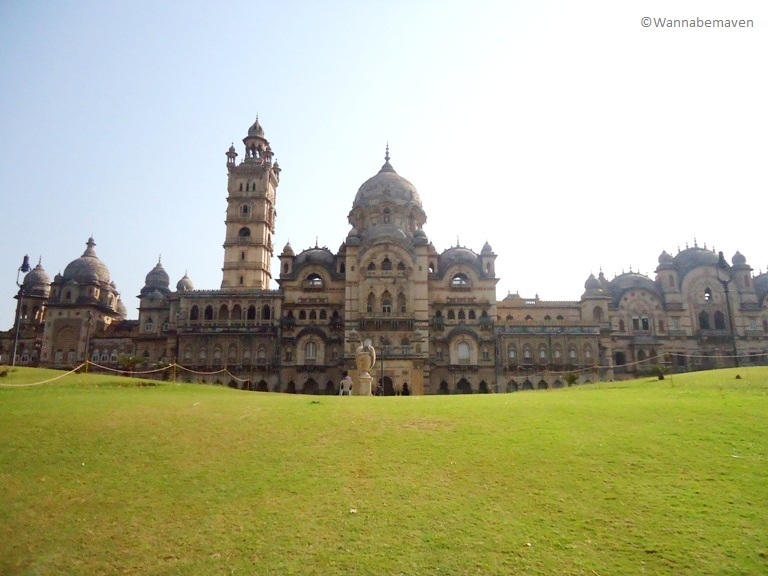 It was finally time to visit the most important tourist site in Vadodara – Laxmi Vilas Palace. The royal structure originally built by Sayaji Gaekwad III in 1890, continues to remain the residence of Maharaja Ranjitsinh Gaekwad till date. Thankfully, some rooms in the palace are open for visitors at the royal family’s discretion. Ensure you also visit Fatehsingh Museum in the near vicinity, which houses rich oil paintings of Raja Ravi Verma. (Read full post on visit to Laxmi Vilas Palace here). We left from Vadodara towards Anand at 1:30pm. The only reason to add Anand to the itinerary was to visit Amul Dairy Headquarters. Our visit to Anand was timed to arrive between 2pm and 4pm which is factory visiting hours for tourists. Apart from the factory itself, there is a small dairy museum. 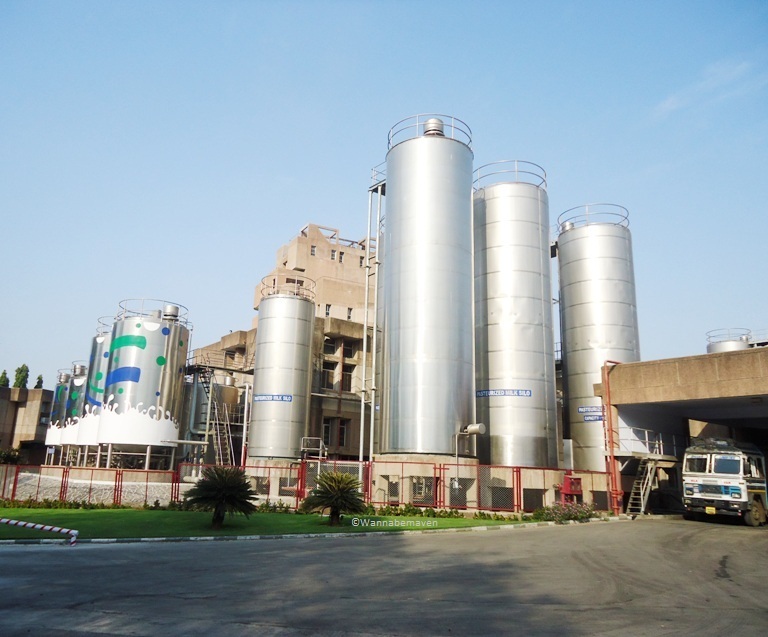 (Read full story on visit to Amul Factory here). Anand was the final stop in Gujarat, following which, we headed back to Mumbai. We left at around 5 pm to cover a 470km journey and reached Mumbai at 1 am. In Daman, we were put up at Sandy Resort near Devka Beach. Resorts line up the shore at Devka Beach, ranging from medium to expensive. For budget hotels, it is best to stay near the market area, away from the beach. We chose not to pre-book a hotel in Vadodara and instead trusted our luck to find reasonable stay options on arrival. Sayajigunj area near Vadodara train station has plenty stay options such as Apex International, Aditi Hotel and Hotel Kalyan. Prices range from budget to expensive. We chose Hotel Kalyan as a budget option. Of course, Gujarat is known for their elaborate vegetarian thalis and filling snacks. But I was gladly surprised to easily find non vegetarian meals in Vadodara. The city has a decent Muslim population which makes it easy to source delicacies like Tandoori, Tikkas and Mutton Rogan Josh. Seafood is your bet in Daman. Since the union territory is governed by Delhi, alcohol is freely available. However, one cannot take alcohol beyond Daman boundaries. 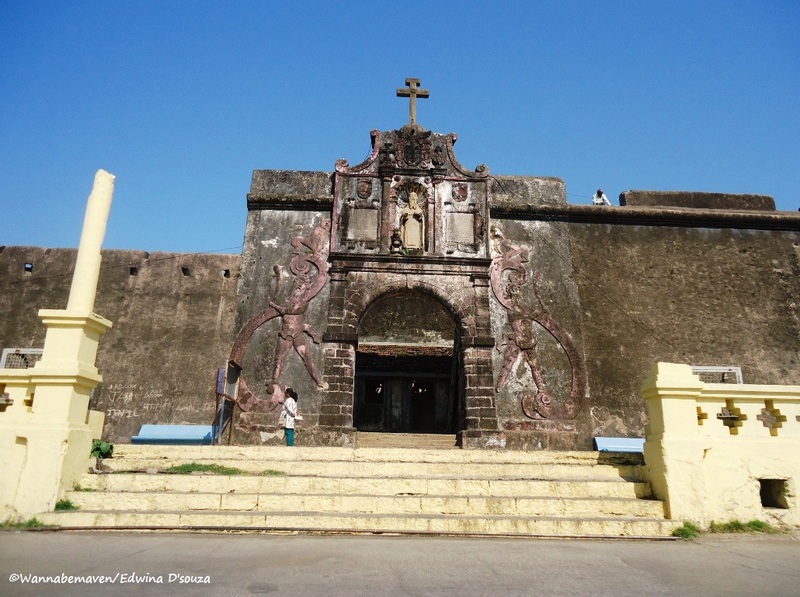 Restaurant scene in Champaner-Pavagadh is nothing to boast of. Avoid experimenting here! Photography is restricted inside EMI Temple premises in Vadodara. Champaner-Pavagadh and Anand were both day trips from Vadodara. Be prepared to shell out for tolls on this road trip. The NH 8 is a smooth drive but you pay the price for it. Our total toll charges were well over Rs. 1200 (round trip). Note: This itinerary is just one way of doing the trip. If you have a better and comfortable way, go ahead. The idea here is to encourage you to travel and explore, and you are free to do it your own way. Gujarat Itinerary, Gujarat Tourism, Gujarat Travel Guide, Places to see in Gujarat, Road Trip, Short Trips from Mumbai. Bookmark.